Project Geo-Games, Mega event in Leipzig, Germany. Last weekend was the Mega event in Leipzig, Germany, the Geo-games. With 2900 will attends, a really big geocaching event. Well prepared, we started our trip to Leipzig on Friday, but saturday early morning started bad. Heavy rains and missing table almost cause a small panic, but the rain stopped and the tables came quickly. From around 9 tot 6 uur in the evening, it was mostly busy and sometimes very busy, but always fun. We had a great day on this event and hope to be there again next year. Earlier this week, 3 new FarmtagZ arrived, the Donkey, Rabbit and Goose. Three cute additions for our Farmer serie. Also all other models are back on stock again. May the Cache Force be with you always! But sometimes you have to succumb to the dark side of the cache and look at the hint or phone a friend for a clue. Avroair's dark side coin helps you do that. The geocoin features the ultimate power in the galaxy as well as a targeting computer to help you strike off those caches. This geocoin is in black nickel finish and glows in the dark! Een new serie geocoins. These are all snowmen. We now have them for all seasons, designed by Tom Steele Jones. He combined his love for snowmen and geocaching into these coins. It's a Chris Mackey masterpiece called Pan & the Cache Guardians. It's incredible 3D relief on the front, with the little winged cache guardians on the back. It's is going to be busy on the farm. Three new friends arrived in the FarmtagZ serie, the rabbit, goose and donkey. 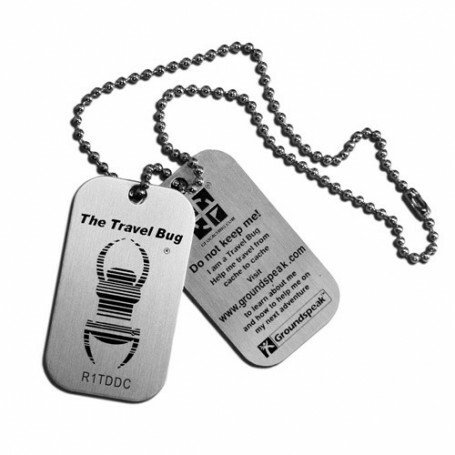 FarmtagZ are dogtag-like trackables, around 5 cm in size. This log stamp is perfekt to add your own style to the logbook. 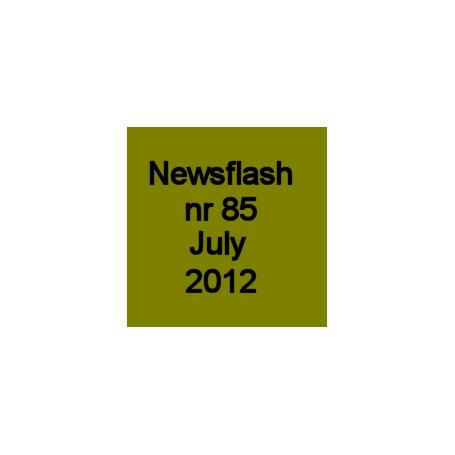 This stamp has the option for yuor own logo and text (38x14mm). This stamp has ink included and fits easily in your backpack or bag. Do you want your own logo stickers? We now offer A4 sheets with 65 team stickers with your own teamname and a logo (your own or Groundspeak logo). The price starts already from € 2,25 (at 10 vel or more). The stickers measure 38 x 21 mm. This convenient and flexible shoulderbag is on stock again.